Please note that the content of this book primarily consists of articles available from Wikipedia or other free sources online. 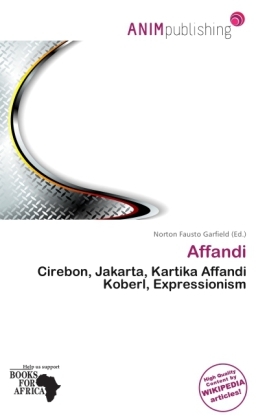 Affandi was born in Cirebon, West Java, as the son of R. Koesoema, who was a surveyor at a local sugar factory. Affandi finished his upper secondary school in Jakarta, but he forsook his study for the desire to become an artist. Affandi taught himself how to paint since 1934. He married Maryati, a fellow artist, and one of his children, Kartika also became an artist. In the 1950s, Affandi began to create expressionistic paintings.